A loose retelling of events leading up to the gunfight at the O.K. 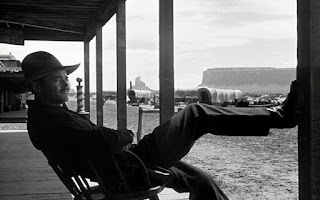 Corral, My Darling Clementine is a gorgeously filmed but curiously paced Western. The black and white images are stylish and evocative, but the story gets bogged down in lengthy nothingness for surprisingly long stretches. Former lawman and now cattleman Wyatt Earp (Henry Fonda) and his brothers tangle with Newman "Old Man" Clanton (Walter Brennan) and his sons on the outskirts of Tombstone. When Wyatt's brother James is killed and his cattle stolen, Wyatt accepts the offer to serve as Marshal of Tombstone. 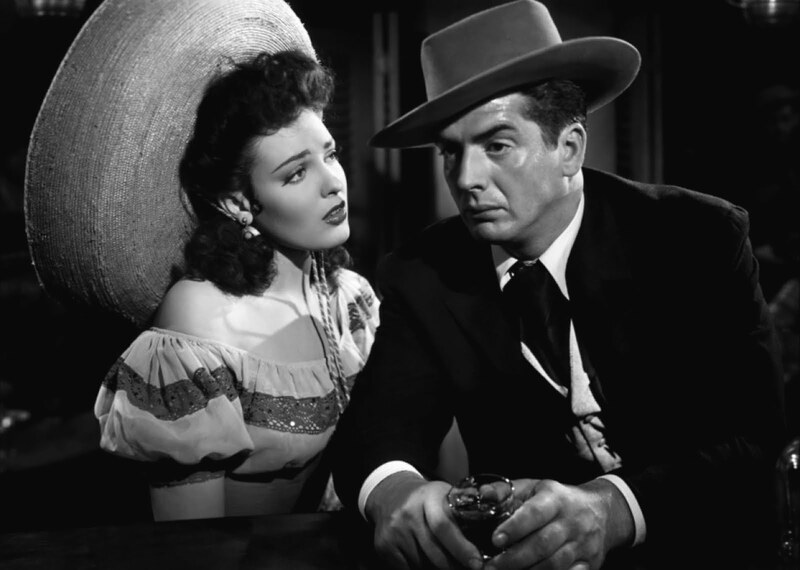 He imposes law and order, including reigning in the coarse behaviour of resident gambler and local legend "Doc" Holliday (Victor Mature). Doc's former love Clementine Carter (Cathy Downs) unexpectedly shows up in town having traveled all the way from Boston, much to the disgust of Doc's current girl Chihuahua (Linda Darnell). Wyatt takes a romantic interest in Clementine, but his attention turns back to the Claytons when proof emerges that they were involved in James' death. Directed by John Ford, My Darling Clementine is a feast for the eyes but a strain on the concentration. Ford invests heavily in look and feel, and captures a lyrical, poetic vision of the west, with carefully constructed framing and astute use of lighting. The scenes unfold at a leisurely pace and linger long enough to luxuriate in saturated beauty. Less impressive is the narrative thrust and character definitions. Despite the shortish 97 minutes of running time, Ford struggles to find a focus. The Clantons effectively disappear almost entirely from the heart of the film, leaving Wyatt Earp to tangle off and on with Doc Holliday, and it's never clear if the men settle down to being friends, rivals or something vague in-between. Clementine plays a big role in the title but barely contributes to the actual events of the film. She and Chihuahua represent two versions of the west, Clementine a more civilized future and Chihuahua a more earthy present, but they are more catalysts than well-defined characters, standing to the side as the men sort out their conflicts. Little is known about any of Earp's brothers, and the Clantons remain faceless bad guys with no objective except to cause harm. Henry Fonda makes for a serious, respectful Wyatt Earp, Fonda's screen persona as the stand-up guy in the group ensuring that Wyatt is all good and fully on the side of due process and the law. As usual Doc Holliday is the more nuanced and interesting character, and Victor Mature is fine in interpreting the once-doctor (he was actually a dentist) and now hard-drinking, harder-coughing gambler with appropriate complexity. The final showdown, once it arrives, jerks the film back into its center of gravity, and the gunfight at the O.K. Corral is well handled, if far removed from historical outcomes. Clementine may be a darling, but the film works better when the good guys get down to the business of tangling with the bad guys in the west's most famous horse enclosure.